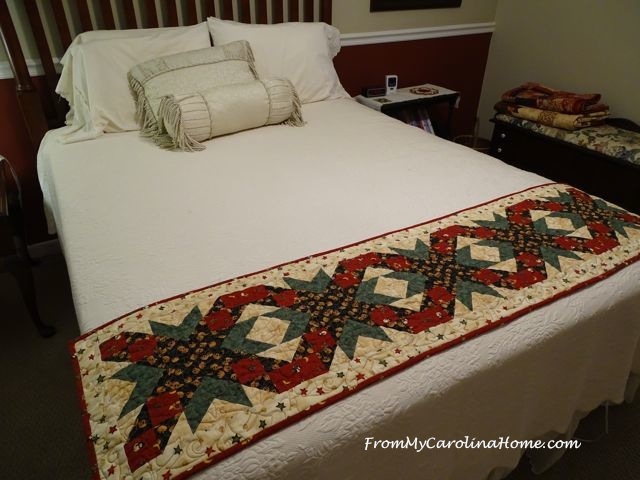 Holidays are upon us all, and for some this will mean having overnight guests. Whether you are hosting for the first time or the fiftieth time, I have just one question for you – Have you stayed in your own guest room? I would be willing to bet that 98% of you will say “no, I don’t need to, I can tell that it is OK”, but I am going to advise that maybe you don’t know. Living far away from our family and some of our friends, we have the opportunity to stay in guest rooms frequently. Some are comfortable, some are not. 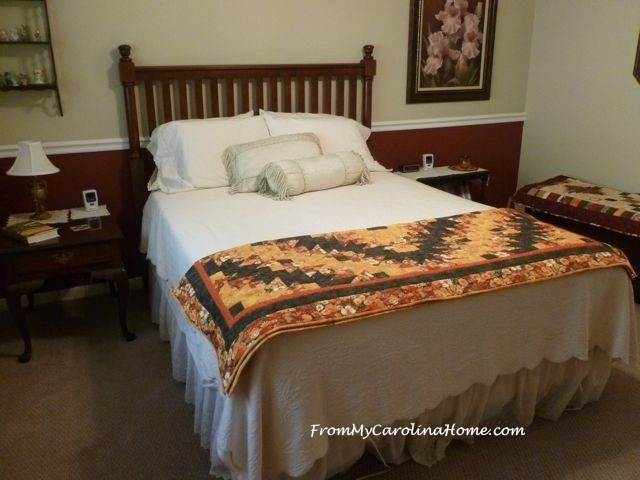 Many years ago, I read an article on staying in your own guest room, and I was astounded by what I found when I did that in our former homes and in this home. Things that you won’t think about and your guests will not tell you come to your attention. I have done this in every home we have had, and I always find out things I wouldn’t otherwise know. It isn’t enough to just sleep in the bed yourself, you need to take your spouse and pack a suitcase to take with you. And you need to do it twice, once in summer and once in winter. Why? Because you need to know if the bed is comfortable for two guests to sleep in, temperature of the room in different seasons, where to put your suitcase or a glass of water, light pollution or pitch darkness, noises you wouldn’t know about and other things. I advocate that the minimum size for a guest room is a queen size bed. If you have only a full size, and a couple is coming to visit, inform them of this and don’t be offended if they choose to stay in a hotel instead. Nothing ruins a holiday visit faster than being irritable from not sleeping well, then having to smile at your hosts and say everything is fine. That full size works fine for one person like when your mother in law is visiting, or two people used to that size bed, but for two people who normally sleep in a king, it may be too small for what they are used to. For me, due to my spine surgery, it is impossible to sleep with DH in anything smaller than a queen. We stayed with some friends last year where the supposedly full size (but antique) bed was so small that my husband slept in it and I slept on a sofa in the room. No, we didn’t tell our hosts that we did that. At another visit with other friends, the room was so hot that even opening the windows didn’t help. It was summer, and they didn’t like using their air conditioner, but didn’t have any fans in the room. Their master bedroom had a ceiling fan, but there was no fan in the guest room, so they were comfortable but we burned up. Then there was the house we stayed at in winter, also too hot this time from the heater. It was so hot that we opened windows with snow outside just to get the room comfortable. None of these things were told to the hosts, I didn’t want to let them know that we weren’t comfortable. I did try to hint that they may want to try stay in the rooms themselves, but I am pretty sure that went in one ear and out the other. So, here are some things I found and fixed when I stayed in my own guest room. 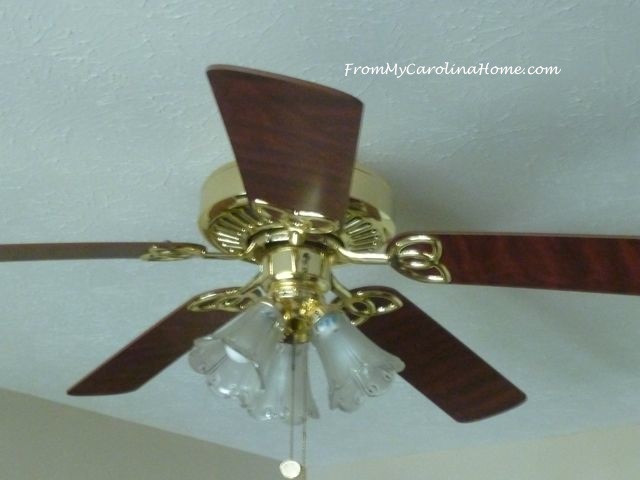 First, the ceiling fan made an awful buzzing sound after it had been on about an hour. Something within it was getting hot, and it woke me up. Just turning on the fan and watching it for a couple of minutes wouldn’t have told me this. So, we replaced the ceiling fan. We purchased a new guest bed when we moved here, and made a bad decision, the bed was really too firm. It felt fine in the store, but sleeping on it overnight told me it wasn’t. So I bought a foam topper to put under the mattress pad, and yes, spent another night. This made the bed very comfortable. In fact, I have had guests tell me (before I had a chance to ask) that it was more comfortable than their own beds at home! Too many things on the night stands makes it difficult to find a spot for my glass of water and DH’s glasses. We know you are proud of your family, but please put the pictures somewhere else. 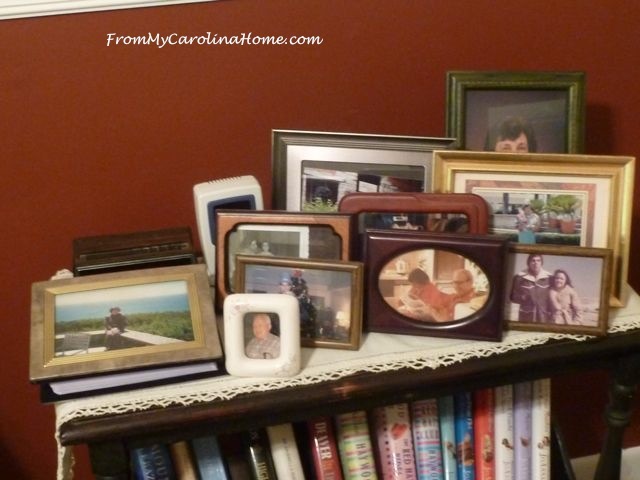 This picture illustrates a true story of a nightstand where we stayed that was covered with pictures. I staged this picture with my own stuff at home to illustrate. No, I didn’t say anything, how could I tell my hostess without hurting her feelings? Luckily, she doesn’t read blogs, LOL! But someday I’ll convince her to stay in her own guest room and she will figure it out. 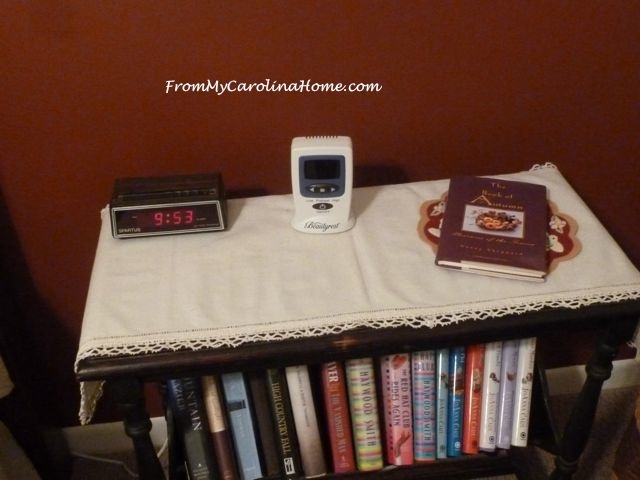 Truly, the nightstands need to be almost clear of anything so your guests have room for their stuff. A clock is essential, as is the blanket control for winter. 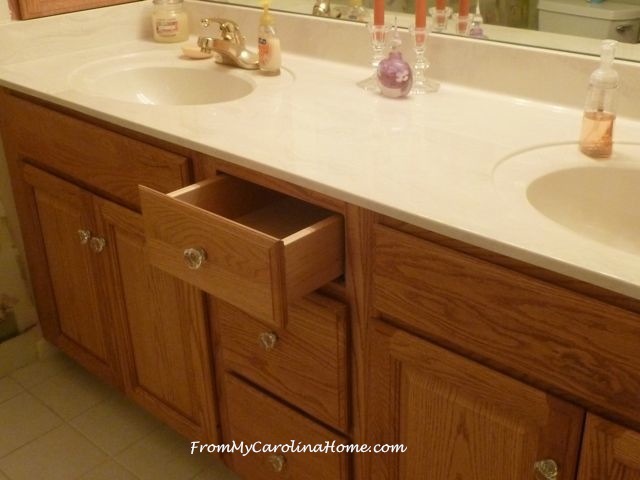 But now, there is space for a guest to put something they may want at hand overnight. Oversize night tables are wonderful for guests. You can leave a book of short stories or poems there as a bedtime ‘snack read’, and still have room for your guest’s things. I add a coaster for a place to put a glass of water. Many of us like to have one at the bedside overnight. Where will your guests put their suitcases? On the floor isn’t really convenient if you can avoid it. 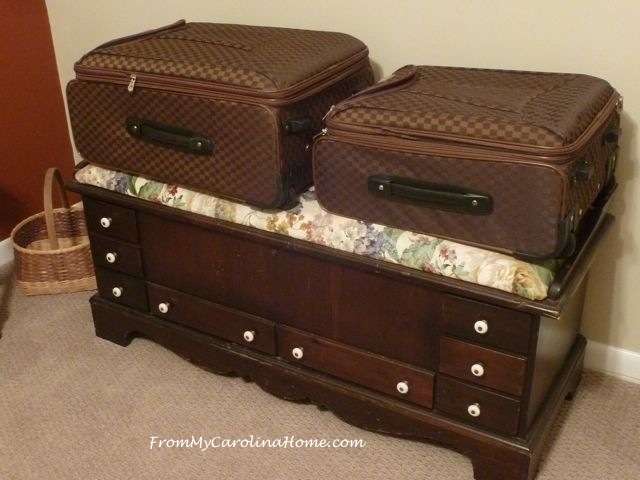 There should be space for at least two suitcases if you have two guests. Those folding suitcase stands aren’t expensive and can be stored out of the way if there isn’t any other spot for putting a bag. I have my cedar chest in the guest room for just this purpose. The closet should be clear of your out of season clothes if possible, or at least have a prominent space in the center for your guests to hang their clothes. I add hangers, including some nice satin padded ones for that extra luxury touch. Extra pillows are available in the closet, and I put four on the bed. I sleep with two pillows and so does DH. Giving your guests options for thickness and firmness will make them more comfortable. For winter, I have a dual control electric blanket on the bed, with extra quilts in the corner. Some people get really cold and need the extra warmth. 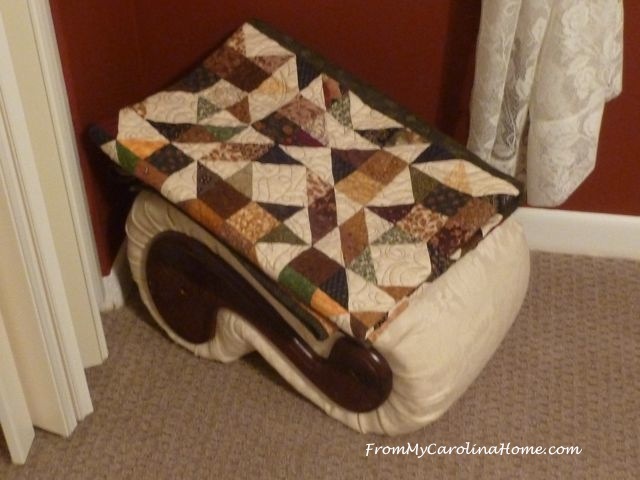 This footstool holds an extra quilt, and is a place for the extra quilt on the bed if it isn’t wanted. It can hold the decorative pillows on the bed too. Try to get to the bathroom in the dark. At our home, on a cloudy or moonless night it is pitch black. There is no artificial light from outside, and we do not have street lights. Is there enough light from night lights or clocks for you to see where to go? Remember, your guests may wake up not remembering that the door is on the left or that the bathroom down the hall is several steps away, and they may be reluctant to turn on an overhead light. 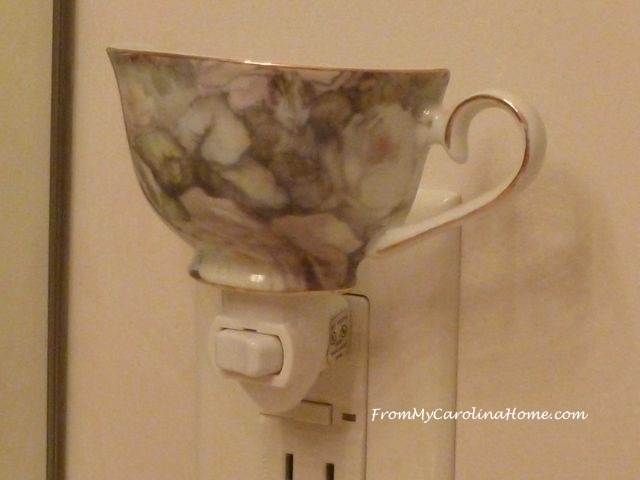 You can put night lights in the bathroom and perhaps the hallway to make it safer. On the other side, is there so much light coming into the bedroom from street lights or other outdoor light sources that the room is too light? You might consider adding either a room darkening shade or some kind of window covering that can be closed if your guests prefer it dark. I personally need it dark, too much light makes it difficult for me to get to sleep. OK, you have addressed all you can think of, and now it is time to stay in the room. Be sure you sleep with the door closed, it may make a difference in the temperature overnight and every guest I’ve ever had closed the door. I also close the door when staying with family or friends, so do your test with the door closed. During the summer, the room was comfortable as I went to bed. But, the heat pumps that cool the house are right next to the window, and in the middle of the night they kicked on and woke me up. 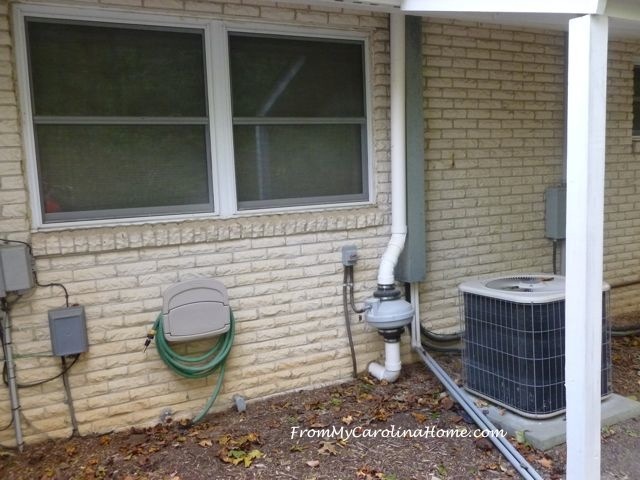 To remedy this, we cool the rooms for about an hour before bedtime, then adjust the temperature control up so the heat pumps don’t come on in the night. I also found out that the refrigerator kicked on in the night, and it is just on the other side of the wall from the guest room. That one I can’t do anything about. But when I replace the frig, I’ll look for a more energy efficient quieter one. After all that, don’t forget the bathroom. If your guest bathroom is shared with a resident in your home, be sure to leave enough space for your guests to put their toothbrushes, shaving gear, cosmetics, and other grooming things. If your guest bathroom cannot accommodate that, it is even more important to have clear space in the guest room for those things. Our home’s guest bath used to be a master bath, so we have a lot of space. I have a drawer of extras for guests just in case, like extra toothbrushes. I’ll show that to the guests, then show them the empty drawer for their things along with the large countertop to set their items. If you have limited counter space, don’t take it up with this kind of item, they may not be needed and will get in the way. 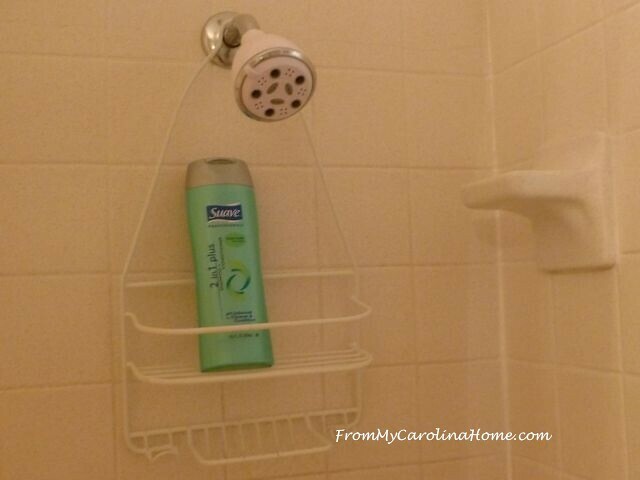 In the tub area, be sure there is space for a guest’s shampoo and conditioner, if there isn’t, consider a shower hanger like this one. There is shampoo/conditioner here just in case it is needed. Plus our guest bath has two sets of towel hanger racks on the backside of the bathroom door for extra drying space. Very convenient when there are three or four people sharing a bathroom for a few days. Be sure to provide a can of air freshener on the toilet. I learned this from my mother who had major digestive problems after her massive surgery for pancreatic cancer. She was always embarrassed to use a bathroom due to the odor, so giving her a way to take care of that made her more comfortable. And who knows, your guests may have the same kind of issue but never tell you. I also make sure to put an extra roll of paper on the toilet tank, as it may run out when I am not looking. So here is your checklist to take care of, then sleep in the room to be sure. Are there night stands on both sides of the bed, free of clutter? Can two people sleep in the bed and be comfortable? 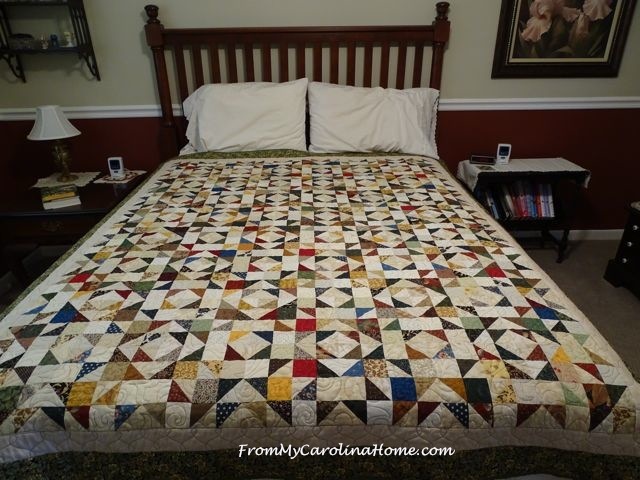 Is the bed Goldilocks ready (not too hard or soft)? Do you have a selection of pillows? Is there a place to put extra pillows if not wanted overnight? 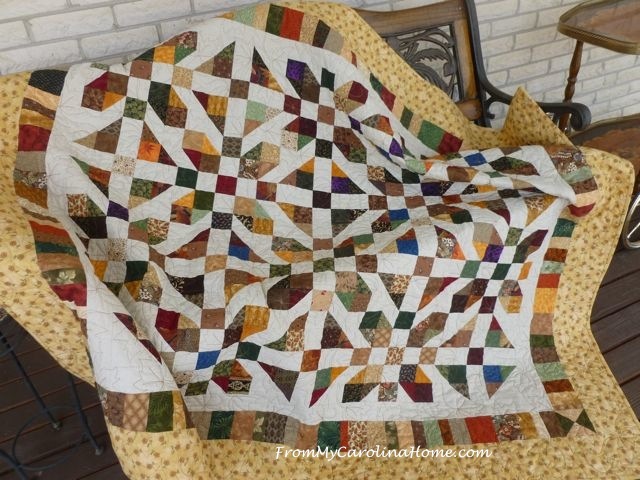 Do you have extra quilts or blankets in the room? Is there a place to put them if not wanted? 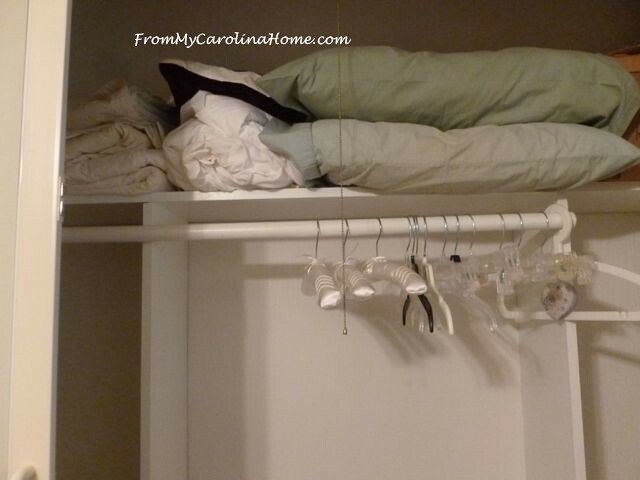 Does the closet have space and extra hangers for guests clothes? Is there a place for guest’s suitcases? Will it accommodate two? If not, where will a guest put a second suitcase? Is there space in the bathroom for guest grooming supplies? If not, is there extra tabletop or bureau top space in the guest room for those things? Is there an air freshener on the toilet? Is there a place in the bathtub area for guest’s shampoo and conditioner? Do you have some available if they didn’t bring those? Is the room comfortable overnight from a heating/cooling viewpoint with the door closed? Is a fan needed? If there is a ceiling fan, is it quiet? Are there noises in the night that can be fixed? Think of your guest room and bath like a hotel, with lots of space for your guests to spread out and place their things. Certainly you can put some seasonal items here and there, just be sure to leave lots of space free and clear. If you need some folding tables for temporary use, check the thrift store, you can always donate them back after the holidays if you don’t have storage space. Or borrow one from a friend. Take care of the things you can, and enjoy the holidays knowing your guests are truly comfortable. 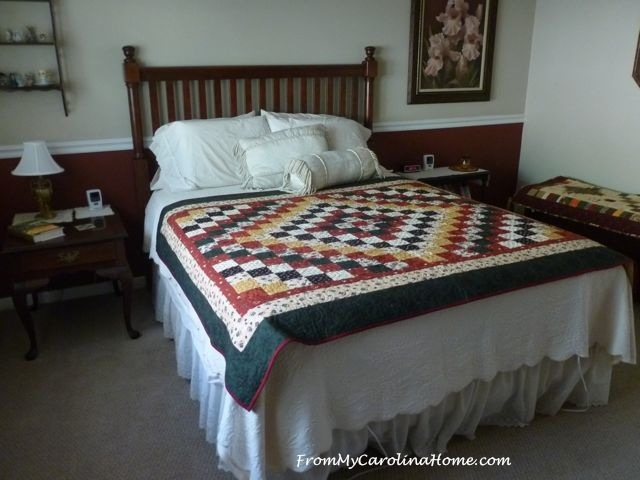 Is your guest room really ready? 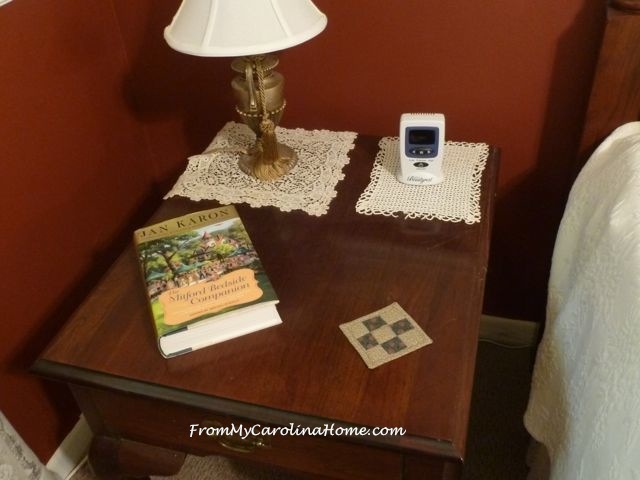 Great suggestions….we are having guests for Thanksgiving so I will be a guest in my guest room tonight! Great, helpful ideas!! We moved into our guest suite while remodeling our master…. I then understood WHY the bedding was soooo askew when guests were visiting. 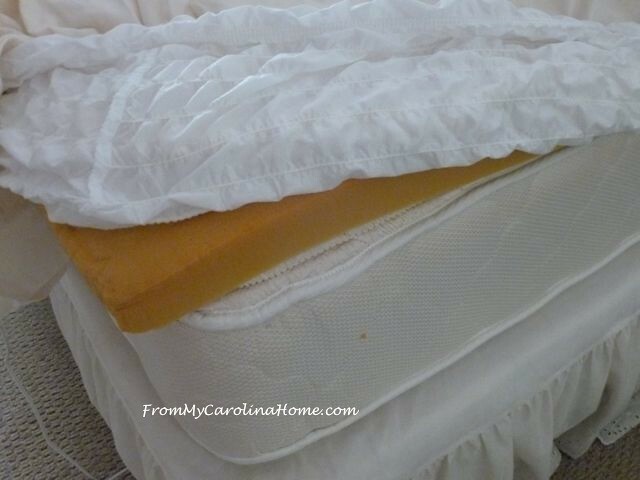 The blankets were “vellux” type and too slippery, causing everything to slide off the bed top. We changed to cotton blankets and the problem was solved. Thanks I never thought of any of that it was just an other room. I’m sure ill be making some changes. This is really great advice! I’ve slept in our guest room several times due to someone snoring. I’ve made lots of changes because of that. I discovered that it’s cooler in there than in our room and added a space heater and extra blankets. Just recently added a foam topper to the bed…….it’s sooo comfy now! 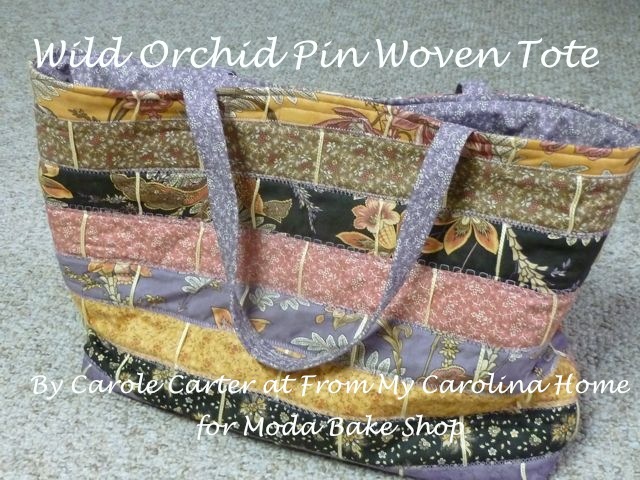 Great tips Carole! Sending up Prayers for a successful surgery & speedy recovery! This is a great post. We had to move into our guest room during some reconstruction and we ended up replacing the bed because of it. I think we can all learn a lot … A LOT when we stay at other people’s homes as guests….. I am sure you have stories. I do too. And for that knowledge, we know what we would want. I have one bedroom with it’s own bathroom and that is a very nice feature- still living in the large family home. I have bathroom painted a light lime green, and it does not look too bad (no window in the bathroom) and everything else is white. Our guests are usually family, so they just spread out their luggage in the huge walk in closet that actually has a window and a light!!! Having guests can be fun. We want to make them happy they came, and not leave with bad memories. Our current primary home was once our second home, so we had already planned on a constant stream of guests because of our location. The pressure of entertaining really made us think about our own travel experiences and what worked and didn’t. So far, the only thing we’ve missed on is the placement of metal sculptures of Sandhill cranes in our perennial border, which is right outside one of the guest bedrooms. When the sprinklers come on at 5 a.m. and hit the metal, it’s quite jarring :-). They come on every other day and we neglected to take that into account when we slept in the room! Now when we have company, we just change the start time of the sprinklers. Best of luck with your surgery, and be good to yourself during recovery. wouldn’t mind being a guest in your house! we have a little house – no guest room and very rarely have an overnight guest and when we do it is one of our children and g.kids – the air mattresses are brought out and we are all stepping over each other – they have the option to stay at a motel if they wish – they want to save money and see us the whole time so we make due! 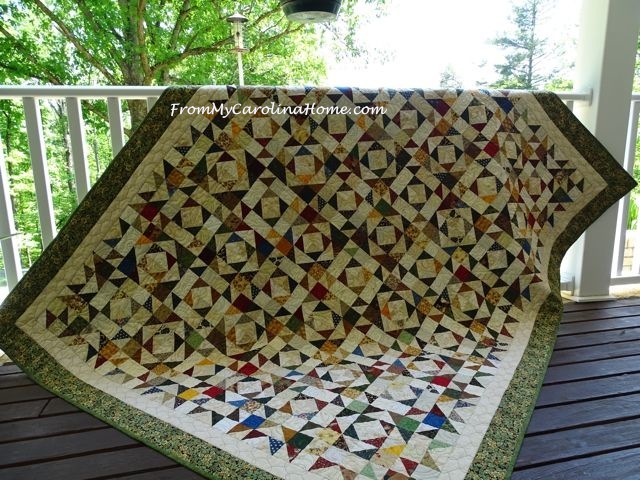 Would be nice to have a guest room but that would mean making the sewing room over and it is very small as it – really no room for a bed with the big hand quilting floor frame in here, sewing table and cutting table. Not happening. i thought we were the only ones who have stuff and when company comes it disappears. Thank you for a good and thoughtful article, wish I had a guest room. Good luck with your surgery. This is a wonderful and informative post. We take a 7 week trip from upstate NY to South FL with stops in VA and NC. We stay with friends and family at 7 different homes and have experienced most of the issues you pointed out. On a trip to Denver we stayed overnight in Iowa with friends who had begged us to stay. Our pillows were two small square sofa pillows! But we love our friends and family and couldn’t afford the FL trip if we weren’t welcomed so we manage. Hope you are recovering quickly. 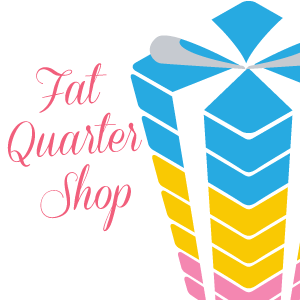 This is a timely post as I am about to adjust my daughter’s former bedroom into a guestroom. It currently has her old single bed, but can fit a full or queen-size once I move her desk to the basement. Now I have to consider how to clear the closet some. Most of the dresser drawers are empty so that is not a problem. Thanks for giving me some ideas. This gives us all lots to consider, and I have slept in each of the beds family use when they stay. Extra bedding always in the wardrobe, one thing I learnt years ago, have a torch handy for people who are not family, in case of power cuts or failures, specially in winter. Hope your surgery is all done and recovery well on the way. You really thought if it all. Got to do this before our son and daughter-in-law come. Thank you! These are all excellent ideas! I’m ready to stay at your place! I have been thinking of making over my guest room to make it really comfortable for guests (it has a twin bed in it from when it was my daughter’s room) so these ideas are very timely. I’m confident you are a wonderful hostess. Great tips. We haven’t had a guest room in years, but have offered a sofa, or sleeping on the floor. 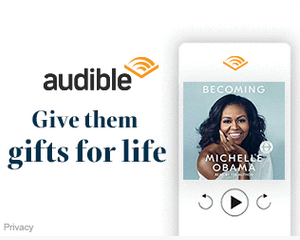 Not ideal, but at least they know what they are getting in to. We hope to buy a forever home, in a few years, that has a comfortable guest room. I chuckled when you mentioned the light coming in to a guest room. Several years ago a good friend and neighbor ended up sleeping in her guest room and hard problems sleeping, because of a street light in front of her home. She called her parents and siblings, who had previously stayed many times, but never mentioned it. Needless to say, she now has a night shade for that bedroom window, but never would have known had she not slept in her guest room. Great ideas! We have a guest room, and there is a very big basket behind the door. It is there because I didn’t know where else to put it. I discovered that when my daughter’s family stays here, they use the basket for dirty laundry. I think they like that better than folding up the dirties each day. Excellent post, Carole, with lots of thoughtful ideas and things to notice. 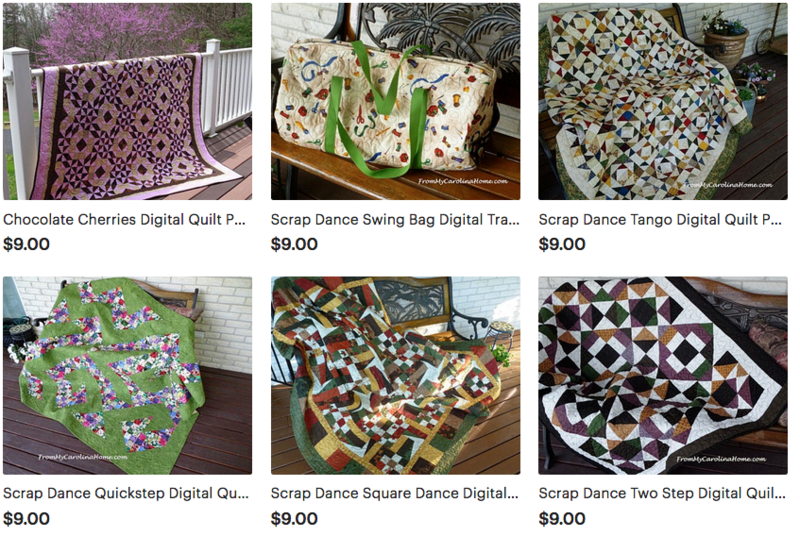 Your home and quilts are beautiful! Excellent suggestions and great comments from other readers. Hard, however, as the guest, to hint at needed improvements where one stays often! I did have to ask for a bathroom night light at my daughter’s, however as I am used to more ambient light in my place, also to ask that an extra foam pad be placed on the brand new but too firm mattress. These are really great ideas. In the morning I will check out our guest room and see what needs to be done. Thank you for the thoughtful and timely suggestions! 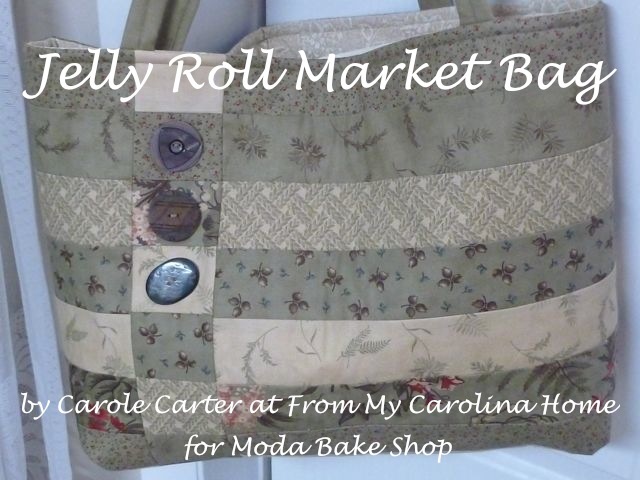 Carole my friend, you ARE the hostest with the mostest! I truly enjoed your post and want to be a guest in your home…but I didn’t see a doggie bed for you know who! LOL!!! Well we did pretend to be guests in our guest room. Good thing..most of the room was very comfortable except for the street light that shined in all night through the cute curtains. We will be putting in some blinds before our guests arrive. Not sure why none of our previous guests mentioned it…I guess they were just too polite. This was an eye opener, thank you. Even though it’s our kids that will be in the guest room I still want them to be comfortable. Thank you for sharing with us this week at Celebrate Your Story, have a great weekend. I want to come stay at your house Carole!! You are certainly a very thoughtful hostess!